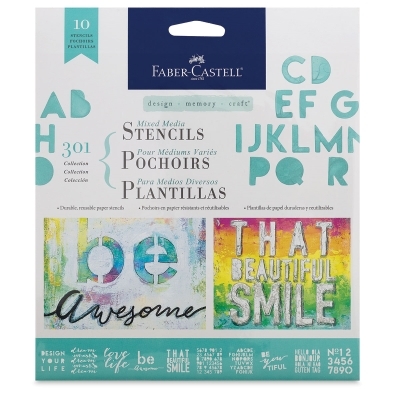 Add color and dimension to your journals, handmade cards, and other creative crafts with Mixed Media Stencils from Faber-Castell Design Memory Craft. 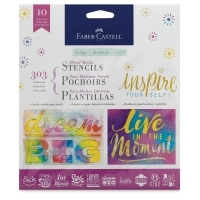 Perfect for adding colorful, inspiring words and sayings to papercrafts of all kinds, these collections include 10 durable, reusable paper stencils. 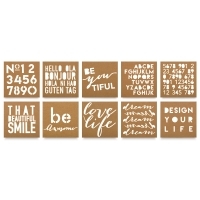 The individual stencil sheets measure 6-1/2" × 6-1/2". 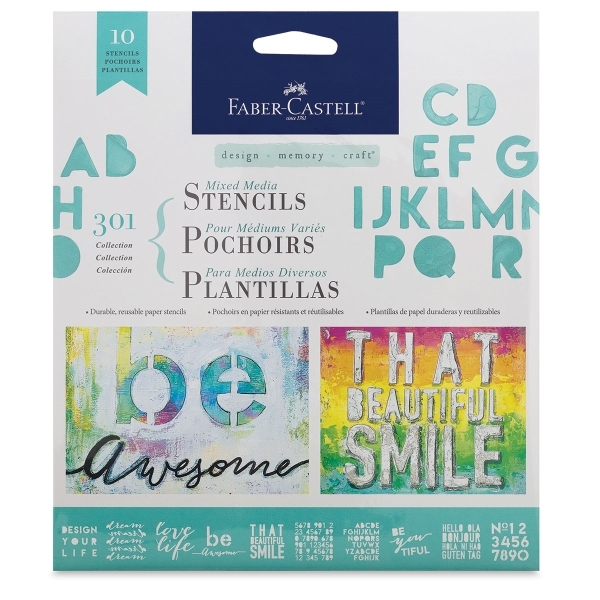 Use the stencils with Gelatos pigment sticks or other art materials to add color and dimension to your mixed media projects. The stencils should be wiped clean after each use, or coated with a glaze medium before use to extend their life. 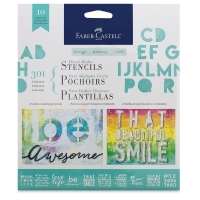 To ensure sharp, clean details, coat the back of each stencil with a repositionable spray adhesive prior to use.